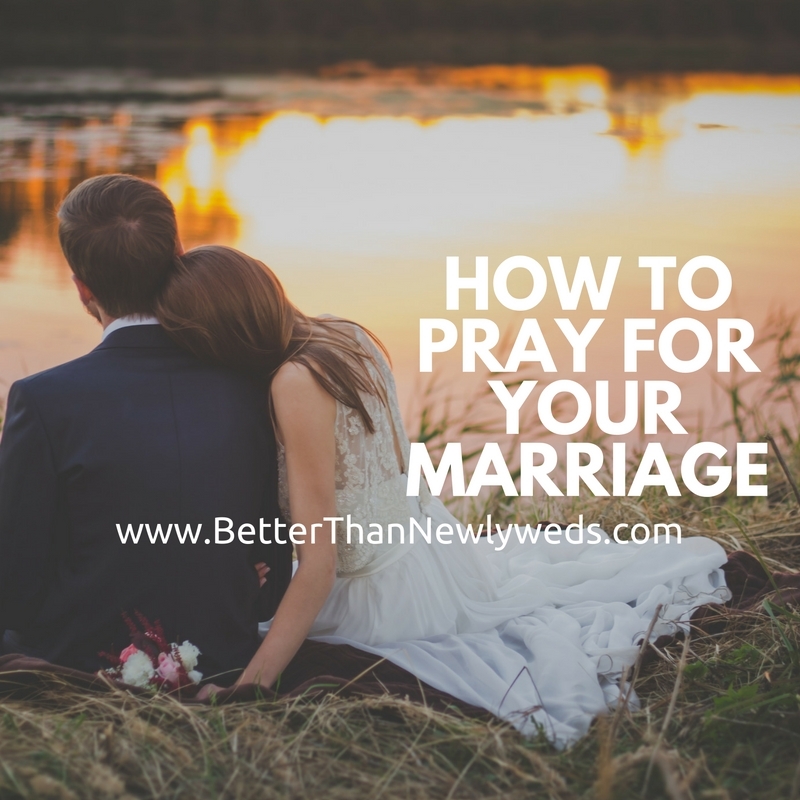 Learning how to pray for your marriage is pivotal for the success of your marriage. When you go through trials in your marriage (notice I said “when” not “if”) prayer will be your greatest weapon and defense against the plot of the enemy. You need to understand how to pray for your marriage so that you can use your “weapon” properly. When you pray for your marriage do not jump right to the part where you ask God for something. I think we all tend to do this. However, that puts the focus on us and our needs instead of Him and how wonderful He is. We need to approach prayer with an attitude of praise. We then need to repent before we ask God for anything. And lastly, we need to yield to His will and His plan for our lives and those we Love. Praise puts the focus on God and who He is. When you pray for your marriage lift Him up and glorify His name above any other. In doing so you bow your heart to all that He is and reaffirm your faith in His goodness and His will. His will is that your marriage would thrive. His will is that your holy covenant would be an example of His Love for His bride, the church. Before you come to Him asking for something, complaining, or wondering why things are how they are… declare who He is. Who He is does not change because you and your husband are fighting. So as you fight for your marriage declare His faithfulness, His goodness, His surpassing greatness, and His victory in your marriage! Repentance is a key element when you pray for your marriage. Not only does this turn our hearts back to God and make us new again but it also reminds us that, like our spouse, we are human and mess up. Repenting is a humbling experience. In order for our hearts to be fully surrendered to God we must let go of the sins that bind us. If we want “times of refreshing” to come in our marriages we must repent. While you pray for your marriage ask God for the desires of your heart. Supplication translated from the Hebrew and Greek words is “a request or petition”. Make your requests know to God. Pour out your heart to Him and share with Him your desires for your marriage and your spouse. God already knows what is on your heart so do not hold anything back. 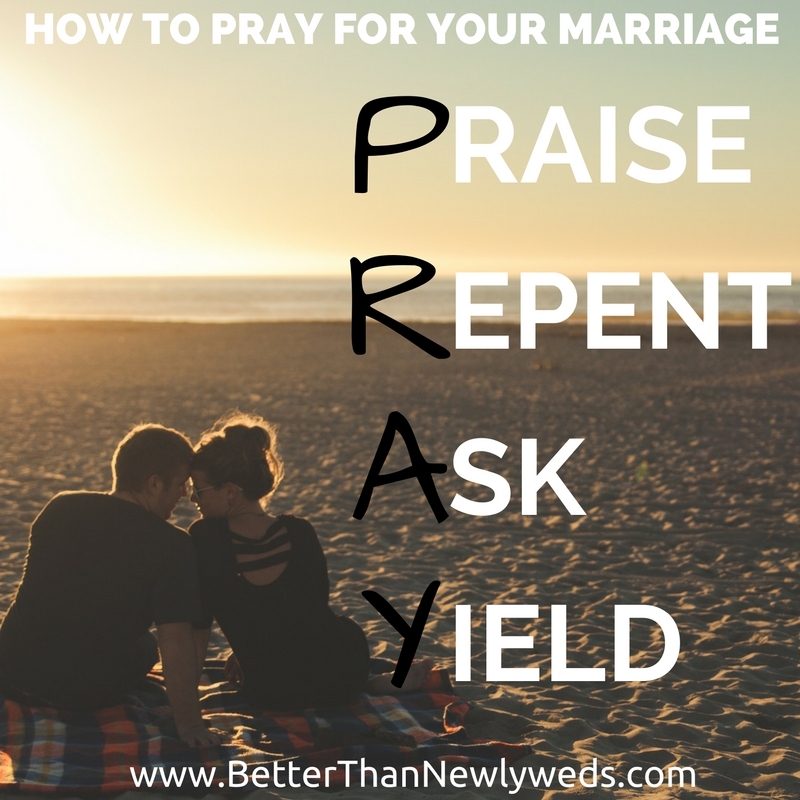 Yield to God when you pray for your marriage. If you give praise, repent, and make your requests known to God but then neglect to yield to Him and His will for your marriage… you will continue to face the same struggles and trials. When we trust God and yield our lives to Him fully He is able to move and do what only He can do. I don’t know about you but I want God to be able to move freely in my marriage. I have a feeling that since you are here reading this that you do too. In order to get to a place where we are able to yield to God we must grow in our faith starting with our praises. We must declare His goodness always and know that He fights for us. There will be times when we feel overwhelmed fighting the devil. Let me share something with you that I just understood completely for the first time. We are not meant to fight the devil… only to first submit ourselves to God and then resist the devil… and he will flee. God will fight for us we need only to be still.